Like most elementary school age kids, I looked forward to the last day of school with great anticipation. I knew that the following morning I would be on my way to Corsicana to spend the next month or so with my grandparents, Dorothy and Avery Jackson. Nearly everyday of that month, I would be fishing with my grandfather and brothers on a local stock tank or small lake. I could hardly wait to get to town to see if I got a new cane pole. 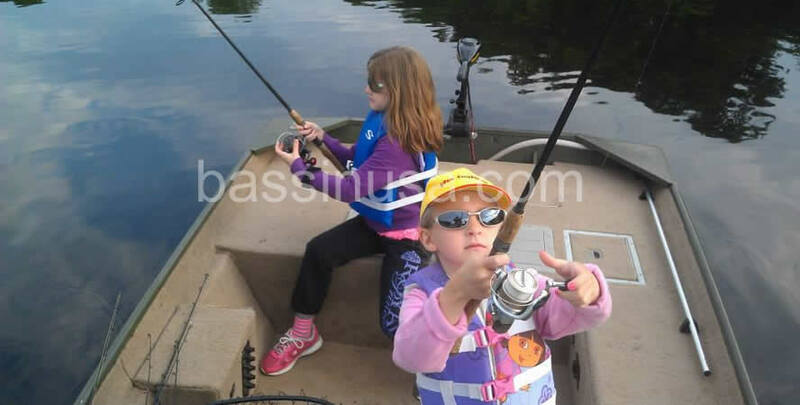 Most outdoor enthusiast are familiar with the saying, “get a kid hooked on fishing, not on drugs”. As a society we spend a great deal of time and money teaching young people about the dangers of drugs and the importance of staying away from them. But, how much energy do we expend actually giving them something to do with their time. Someone once said, “an idle mind is the devil’s workshop”. One answer might be, take a kid fishing. A person wrote, “give a man a fish and you feed him for a day, teach a man to fish and you feed him for a lifetime”. I would like to take that one step further: give a kid a fish and you feed his character for a day, teach a kid to fish and you feed his character for a lifetime. Teach a youngster to love the outdoors and chances are you won’t have to worry about him/her getting into serious trouble. As the oldest of three boys, growing up during my teenage years in a single parent household, I am convinced that I was able to stay out of serious trouble, in part, due to my love of the outdoors. I spent a great deal of my time fishing or hunting. I always had something to occupy my idle time. Fishing is the number one leisure sport in America. For the cost of a baseball glove, a good leather football or basketball, you can outfit a young person to fish. I started with a cane pole and 30 years later have about 25 rod and reels and boxes full of tackle. A bucket of minnows or a carton of worms wouldn’t cost you more than a couple of packs of cigarettes or a six pack of beer. What you would get in return from the look on a kid’s face when he/she catches a fish, is priceless. How much are you doing to help our young people stay off of drugs or out of serious trouble. I would challenge everyone reading this article to take at least one youngster fishing this spring or summer. Whether its your own child or a kid you know that may be making some bad decisions, reach out and make a difference in that kids life. 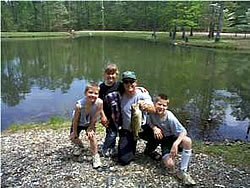 Teach him/her to fish and how to enjoy the great outdoors. Check your area and local bass clubs for youth tournaments. Usually there are events just for kids 12 and under. In some states they can even compete in their own division for exciting prizes at a minimal cost entry fee each day. They can fish from the shoreline. Fishing from a boat is not required. What a great opportunity to make a difference in a young persons future. This subject is one that is close to my heart. Whenever I travel around the country or around Long Island, I am amazed by the plethora of beauty and wildlife. Try to imagine the world without trees, flowers or birds. How would you describe that world to someone who has never seen it? Now try to envision a large lake without aquatic life or a stream without fish. Difficult isn’t it? Well that could be the future for our children and great grandchildren if WE don’t clean up our act right now. As an avid outdoorsman, my love for the adventures of fishing and hunting has come to me as a time-honored family tradition passed down through the years. My brothers and I were fortunate to have a father and grandfather that enjoyed spending time with us and passing on one of America’s oldest, handed down traditions – fishing. We began our fishing at an early age in our life.